Evangelical Christian Publisher Association's 2008 "Christian Book of the Year"
A 20-hour, 20-CD, diverse star-studded audio Bible production of The New Testament. 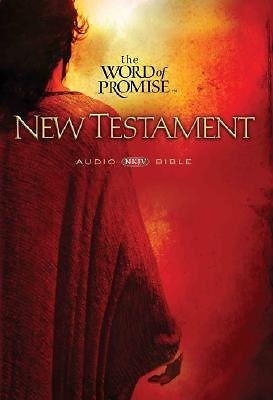 This multi-voiced faithful rendering of the NKJV New Testament is presented in a compelling, dramatic audio theater format. The arresting world-class audio production immerses listeners in the dramatic reality of the Scriptures as never before. Complete with an original music score by prolific Italian composer Stefano Mainetti (" Abba Pater "), contributions by Dove Award winners Michael W. Smith and Rebecca St. James, and movie quality sound effects that are woven together with compelling narration by Michael York, the Bible comes to life for a new generation. The post-production, sound design and Foley (sound effects) are produced, engineered and mixed at Cerny American Creative in Chicago-an award-winning post-production facility ranked in the Top 3 in the nation for sound design. Set includes 20-CDs, a Behind-the-Scenes DVD, and "The Promise," an original song written for the project by Michael W. Smith.